« The New York Five – Another Book About Chicks Already? 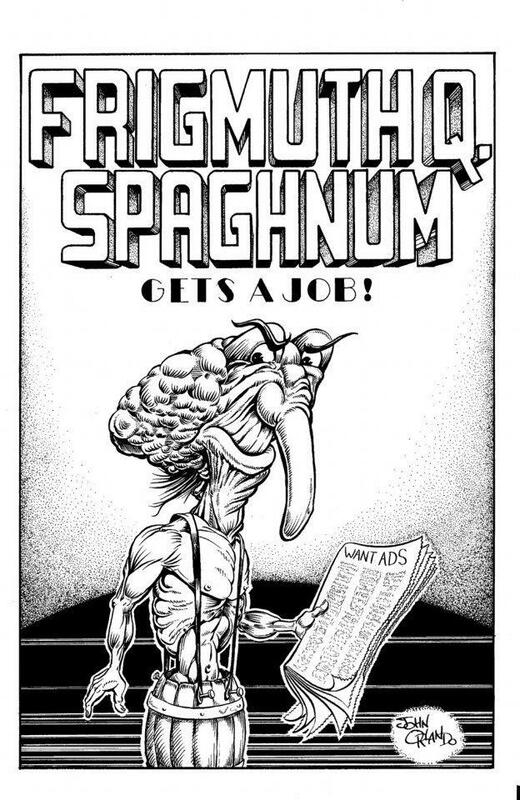 Splash page from the feature story “Frigmith Q. Spaghnum Gets a Job” in FHA-Q! Issue #1. Not even mutants are exempt from today’s economic woes! Page clip from FHA-Q #1′s feature story: “Frigmith Q. Spaghnum Gets a Job”. Formerly living on the wealth his parents left him, Frigmuth finds himself broke and unskilled, seeking work under hostile circumstances and a depressed job market! 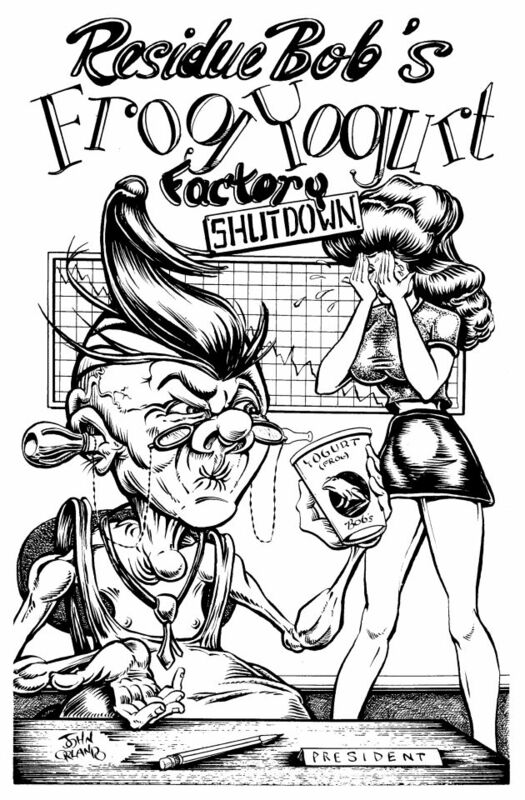 Splash page from the feature story in FHA-Q #2: “Residue Bob’s Frog-Yogurt Factory Shut-Down”. Why has “Residue” Bob Glop’s trendy frog-yogurt suddenly fallen out of favor with the wealthy jet-set of Borschtflopton Heights? Find out the shocking and insidious plot executed against him by his former ally! FHA-Q Issues #1 & 2 can be purchased from Ripoffpress! This entry was posted in Columns and tagged adult comics, FHA-Q, indie comics, john orlando, mature readers, ripoffpress. Bookmark the permalink. Follow any comments here with the RSS feed for this post. Post a comment or leave a trackback: Trackback URL.